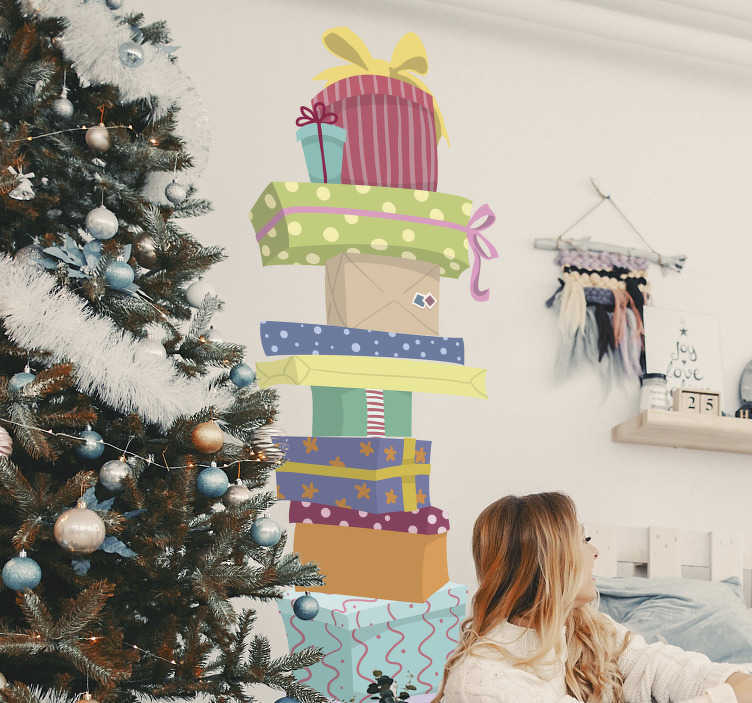 There´s more to Christmas than presents, but they certainly play a big part, so why not decorate your home with this fantastic wall art sticker this December! Depicts a huge pile of presents, one on top of another, just waiting to be opened! Choose your size and make this wall decal a present in itself this Christmas!